Are you working in a shale play? Factory drilling may be the rage in the shales, but the shales themselves were not made in a factory. Shales are sedimentary rocks, and may be divided into subtle facies classes, based on their depositional environments or geomechanical behavior. These subtle differences could determine whether you make money… or lose money. As the price of oil increases in 2018, is your company thinking about exploring conventional plays again, maybe in deep water? Do you want to chase deepwater turbidites, and also find some way to detect and quantify the facies subdivisions within the turbidites, with or without well control? 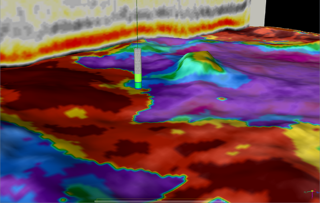 Whether you are in shale or deepwater, Paradigm’s Litho-Seismic, Waveform, and Rock Type Classifications for Rock Type and Fluid Prediction class is for you. This one-day Energy Corridor Houston session will introduce you to the latest Machine Learning methods for Waveform and Rocktype Classification, as well as traditional crossplot-based methods. The class will use live expert lectures, video, discussion, and hands-on software exercises to make you comfortable with the technology in general and Paradigm’s approaches in particular. This course is being offered for a special introductory 2018 price of only $225, which is a steep discount from the usual corporate training rates for live lecture and advanced commercial software. The software to be used in the training is the new Classification for Interpreters plugin to SeisEarth seismic interpretation. It is related to the existing Stratimagic and SeisFacies packages, but presents both familiar and new functionality in the fresh, modern, and easy-to-use SeisEarth environment. You will enjoy the increased ease of use.